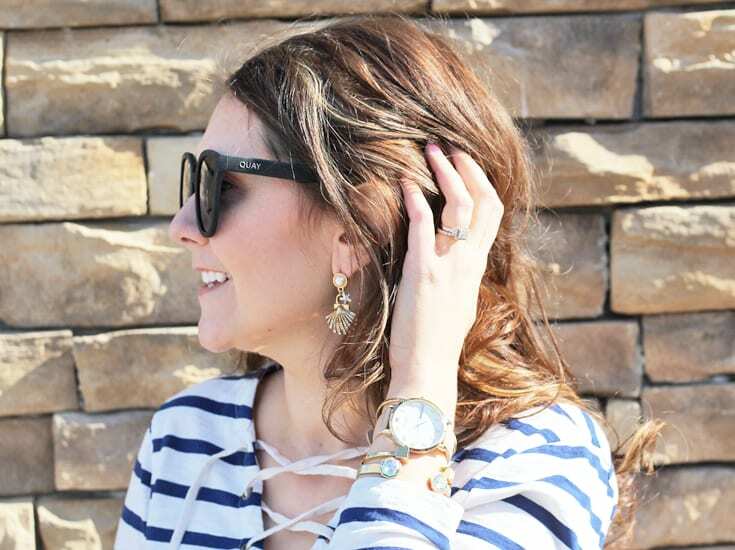 Don’t forget to enter the 3 Year Blogiversary Giveaway here!!! I’ve teamed up with some of my friends to giveaway three of my favorite things (I own all of them)! I first started truly becoming interested in fashion in undergrad. 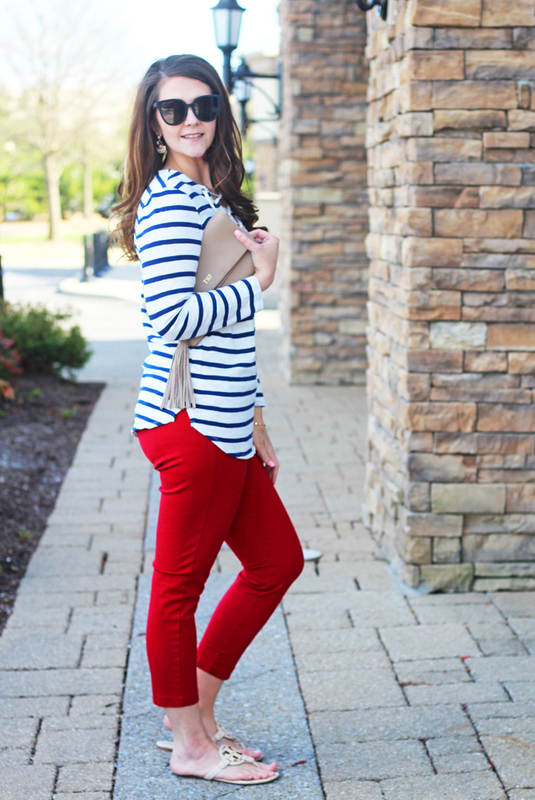 One of my favorite styles then is one of my favorite styles now–the nautical look! 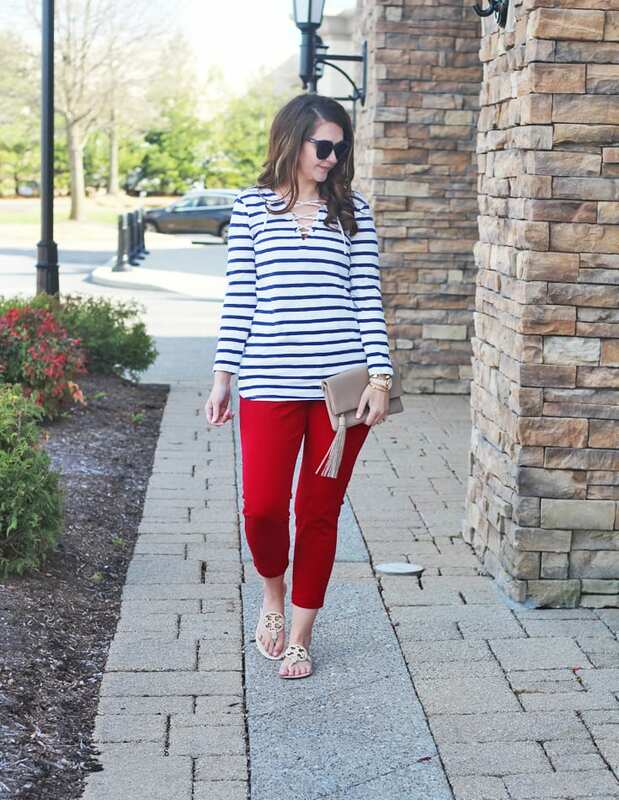 While other styles come and go, the nautical look has been an enduring style over the years. It’s so classic and chic. 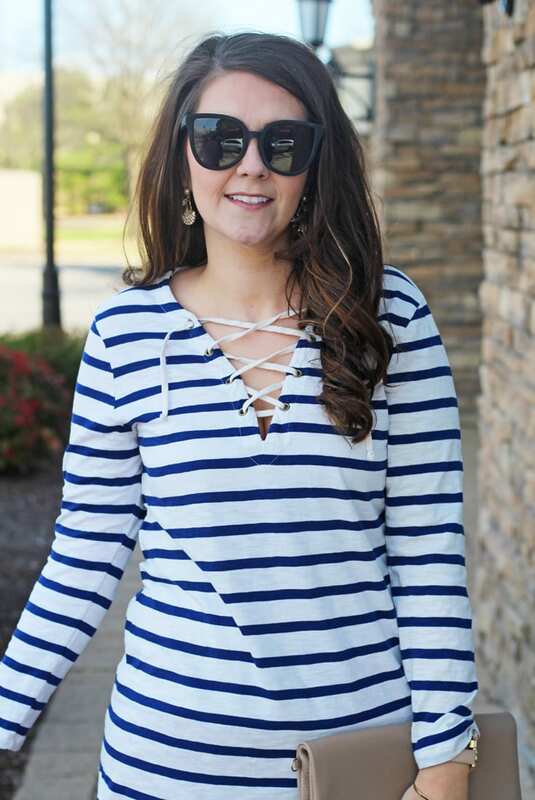 The lace-up top trend was strong all fall, but I’m just now trying it out. Why did I wait so long? 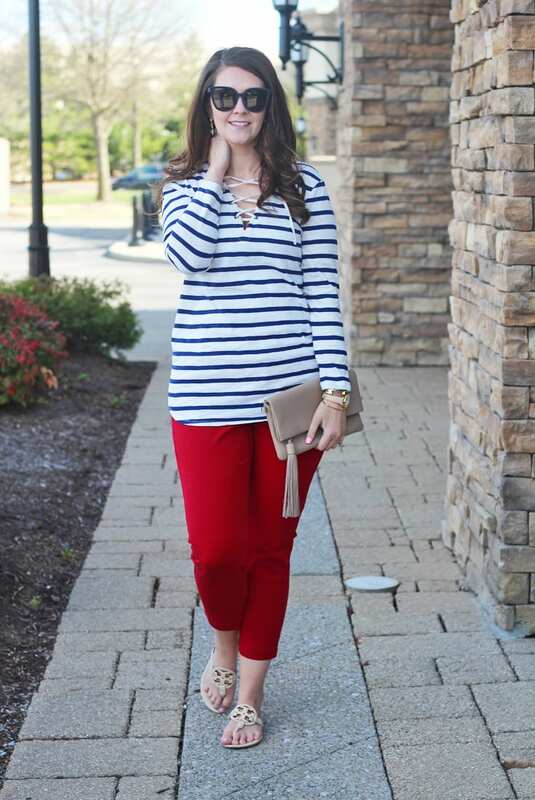 My top comes in six colors total and is under $10 today (discount automatically applied at checkout). 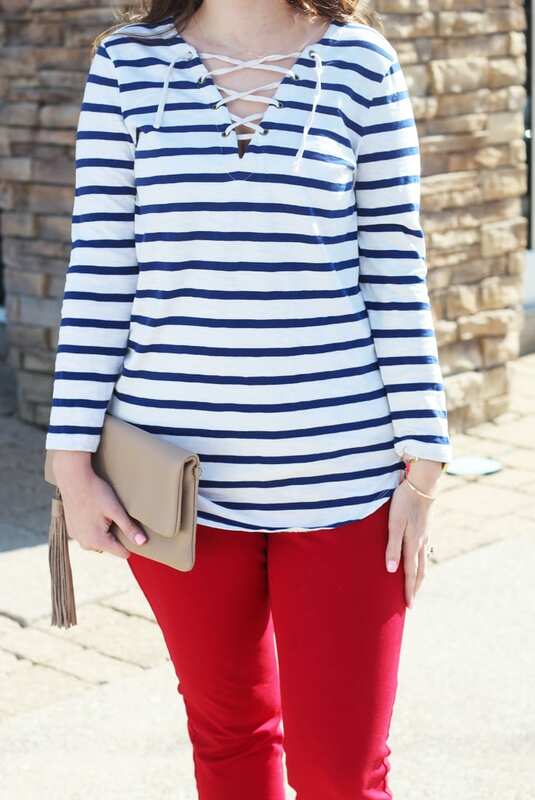 I love the stripes–you can never go wrong with navy and white! If you’re wearing a lace-up top, I recommend skipping a necklace. 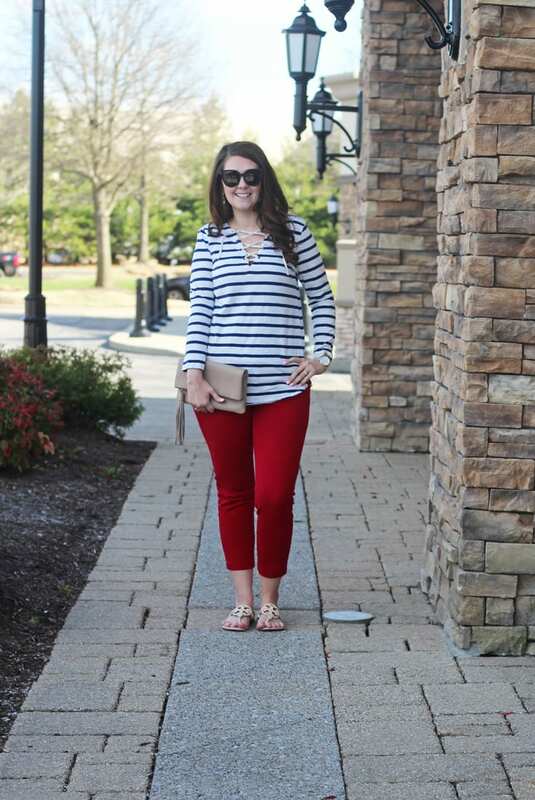 It will just make your neckline look too busy. 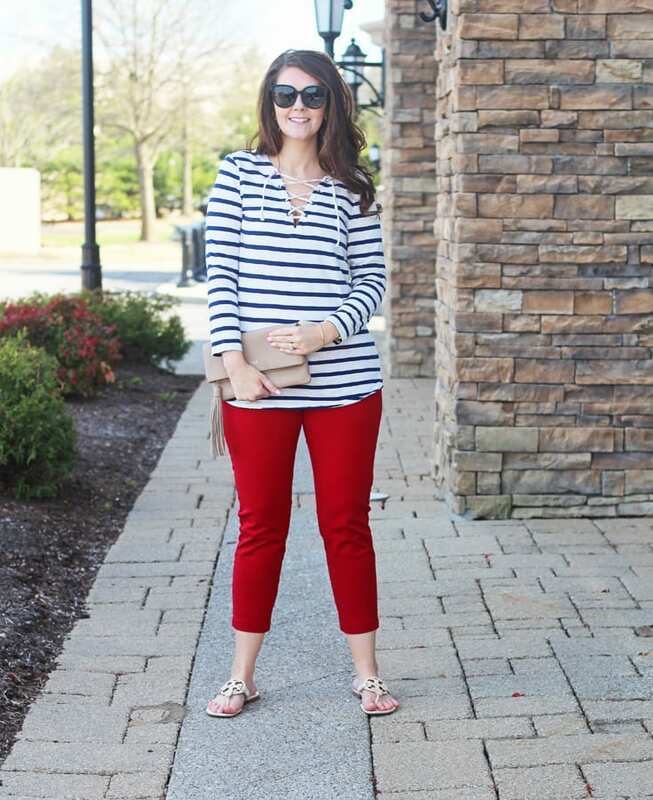 For a nautical look, I added my red pants and pearl seashell earrings. These pants are the same fit. 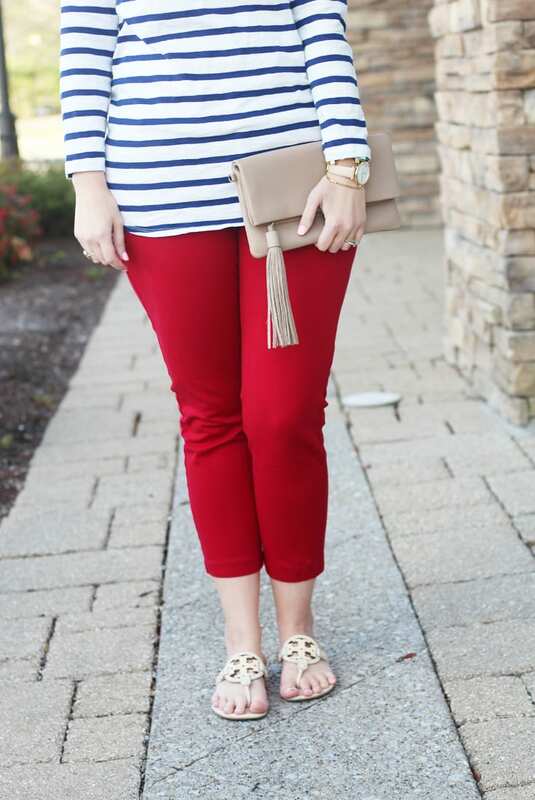 It’s no secret that I adore the beach, and I like when I can add touches like seashells or seahorses to my outfit. To finish my look, I kept my accessories neutral. My sandals are Tory Burch Miller Sandals. I’ve had my eye on this specific color since last year, and finally found a pair on Ebay that weren’t super expensive. I love Tory Burch items, and I appreciate that they retain their value fairly well for resale.